Chip in to support Gov. 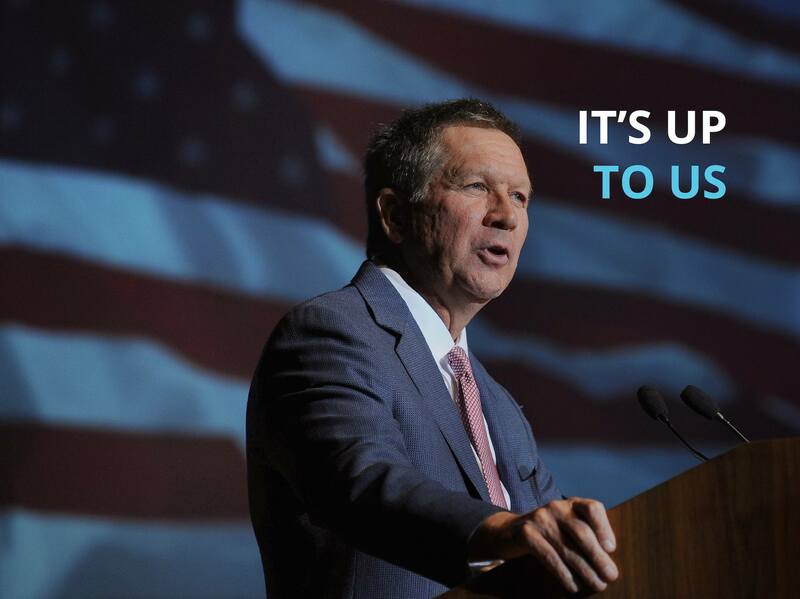 John Kasich's message and those Republican candidates who are worthy of the office they seek! Kasich For America is a multi-candidate PAC with a donor limit of $5,000 per year. Contributions by foreign nationals, corporations, and federal government contractors are prohibited. Contributions must be made from personal funds and may not be reimbursed by any other person. Contributions made in the name of another are strictly prohibited. Federal law requires us to use our best efforts to collect and report the name, mailing address, occupation and name of employer of individuals whose contributions exceed $200 in a calendar year. –I am a United States citizen or lawfully admitted permanent resident (a “green card holder”). –This contribution is from domestic (U.S.) sources. –This contribution is made from the funds of the contributor named above and not those provided by another individual or organization for the purpose of making this contribution. –This contribution is made using a credit or debit card for which the contributor named above has the legal obligation to pay and not the credit card of another individual or organization. –This contribution, whether by an individual or organization, will not be reimbursed by another person or entity. –This contribution is not made from the funds of an individual or organization who is a federal government contractor or a foreign organization. –This contribution is not made from the general treasury funds of a corporation, labor organization, or national bank. It is the policy of Kasich For America to not accept contributions from employees of the State of Ohio. If you have any questions or need any additional information regarding this policy, please contact Kasich For America at Events@johnkasich.com.